2007 Hyderabad twin blasts case: The two convicts in the 2007 Hyderabad twin blasts case were sentenced to death by a Special NIA court on Monday. Earlier in the day, Tarik Anjum, another accused in the case was convicted by the metropolitan court was sentenced to life imprisonment. The two convicts, awarded with death sentence are Aneeq Shafeeq Sayeed and Ismail Chaudhary. The Special National Investigation Agency (NIA) court on Monday pronounced death sentence to Aneeq Sayeed and Ismail Chaudhary, the two accused in 2007 Hyderabad twin blast case. The other accused, Tariq Anjum was sentenced to life imprisonment by the special NIA court. Earlier on September 4, Aneeq and Ismail were convicted in the case while two other accused Farooq Sharfuddin Tarkash and Mohammed Sadiq Israr Ahmed Shaik were acquitted by the special court. Earlier in the day, the third accused Tariq Anjum was convicted for giving shelter to the other accused after the blasts. 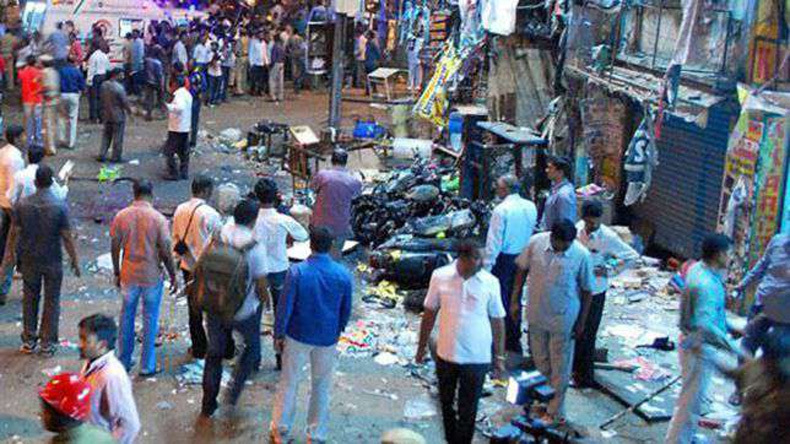 It took over eleven years for the special court to pronounce its verdict in the twin blasts case, which claimed over 44 lives while 68 others were left injured. In 2007, two deadly explosions took place at a popular eatery Gokul Chat and an open-air theatre named Lumbini Park. On September 4, Second Additional Metropolitan Sessions Judge (in-charge) T Srinivas Rao convicted Aneeq Shafeeq Sayeed and Ismail Chaudhary in the eleven-year-old case. Two other accused, Farooq Sharfuddin Tarkash and Mohammed Sadiq Israr Ahmed Shaik were acquitted following a lack of evidence against them. Five accused were arrested by the Maharashtra Anti-Terrorism Squad in October 2008 and CI had alleged that they are Mujahideen operatives. The convicted were produced before the court through video conferencing from the Cherlapalli Central Prison. The charge sheet under relevant provisions of IPC and sections of Explosive Substances Act were filed following the twin blasts on August 25, 2007. Besides this, two other absconding accused, Riyaz Bhatkal and Iqbal Bhatkal, were also named by the agency in the charge sheet. If reports to be believed, the Bhatkal brothers have taken a shelter in Pakistan.